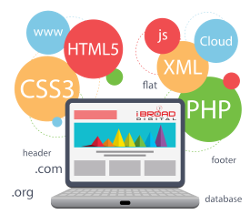 Started as a website design agency in Patna, Bihar, we have been focusing in keeping our team’s knowledge at the edge with latest technologies. Recently we have been working on CakePHP, Codeigniter & Laravel to build custom web application and now in the current era where recently web application , services has spread with the exponential growth of mobile devices and smartphones. There has been rise in demand of Mobile Apps in the industry and we had been working on few innovative mobile app for our key clients. Recently we had launched many mobile app to android marketplace and few on Apple App Store. We understand the goal while developing mobile app worthiness lies at the heart of great user experience that our design team carefully crafts for you. We understand this and create intuitive and engaging mobile ui and interface to make end user love the app. Currently Webx99 Team has worked on developing mobile apps using Cordova, IONIC and angular js technology. If you are looking to hire our mobile app development in Patna get in touch with us to discuss your app scope and provide you with all details. Looking for Website Design, Web Application, Mobile App or Digital Marketing solutions? Get free consultancy about your project from our expert team in Patna since year 2007.